This video is called Little auks and arctic foxes, Spitsbergen. 6 June 2013 on Svalbard. After the Arctic skuas and the snow bunting, time for the little auks once again. 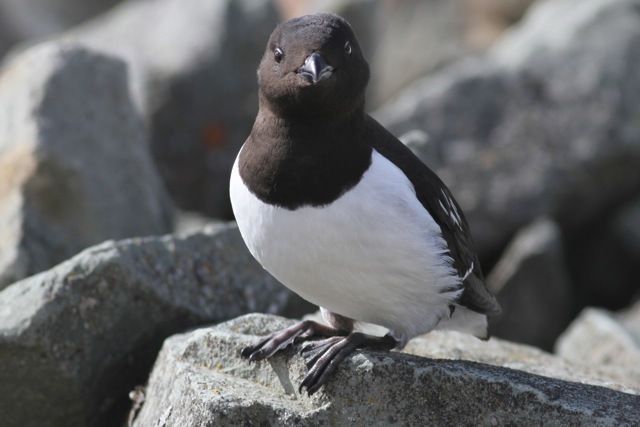 The Norwegian name for the little auk is alkekonge; literally: “king of the auks”. A bit ironic, since it is the smallest species of the auk family. This Norwegian name is a bit similar to the name in Dutch “winterkoning”, king of winter, for the wren; one of the smallest bird species (it does not like harsh winters). 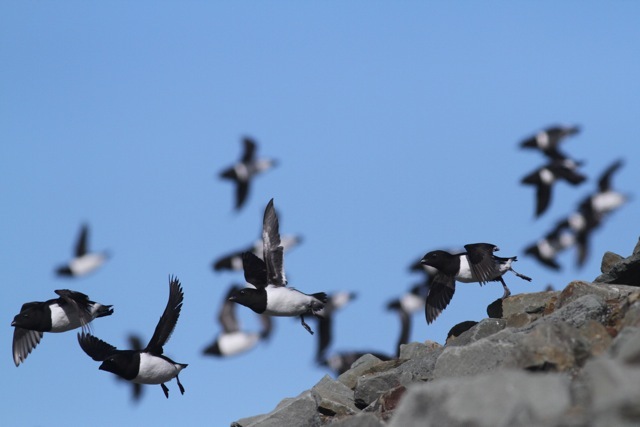 Little auks often fly in big flocks around their colonies. Then, they approach their colonies, and you can see the individual birds a bit better. You can see the individuals still better after they have landed. 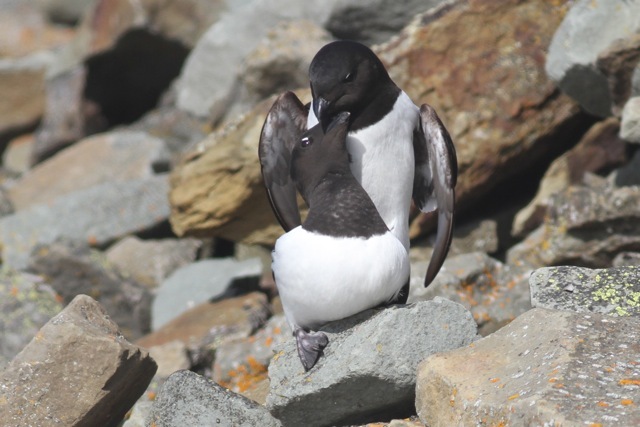 It is mating season for the little auk couples. Still just too early for laying eggs. 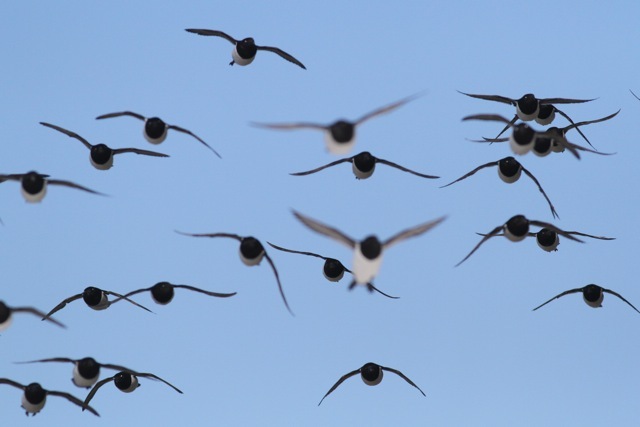 This entry was posted in Birds, Environment and tagged photography, Spitsbergen birds, Svalbard, travel by petrel41. Bookmark the permalink.